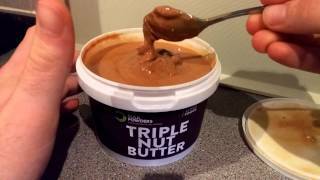 WHAT IS BULK POWDERS PEANUT BUTTER? Active Foods Peanut Butter is exclusively available from BULK POWDERS. Quite simply, you won’t find great-tasting, 100% natural peanut butter at this price, anywhere else! Active Foods Peanut Butter is a calorie dense source of protein and monounsaturated fats.